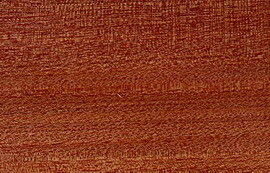 Other names: albarco, bacu (Venezuela), jequitiba, and (incorrectly) Brazilian or Columbian mahogany. IUCN Red List: Listed as Lower Risk/Near Threatened. Like all tropical woods in demand in Central and South America, logging is driving the destruction of old growth rainforests, regardless of whether the particular species of tree is threatened with extinction.